Radetzky March, Op. 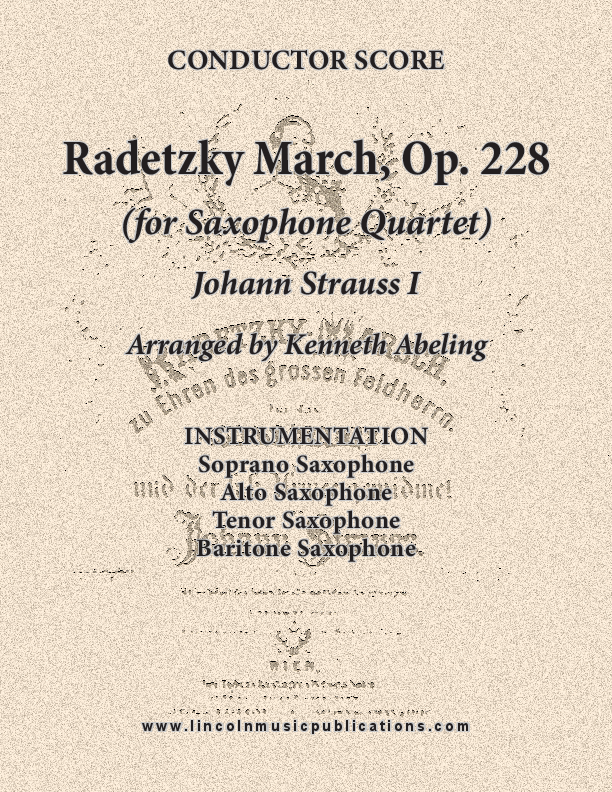 228 transcribed here for Saxophone Quartet. This is an intermediate advanced to advanced level arrangement and very suitable for Oktoberfest performances.